Why Choose Nouveau Prosthetics for your new prosthesis? Training and education are part of the standard of care important to you in choosing your prosthesis provider. Nouveau has been a leader in the field for over 30 years. Our director has been a respected educator and author, and he oversees all devices made at our clinical locations. 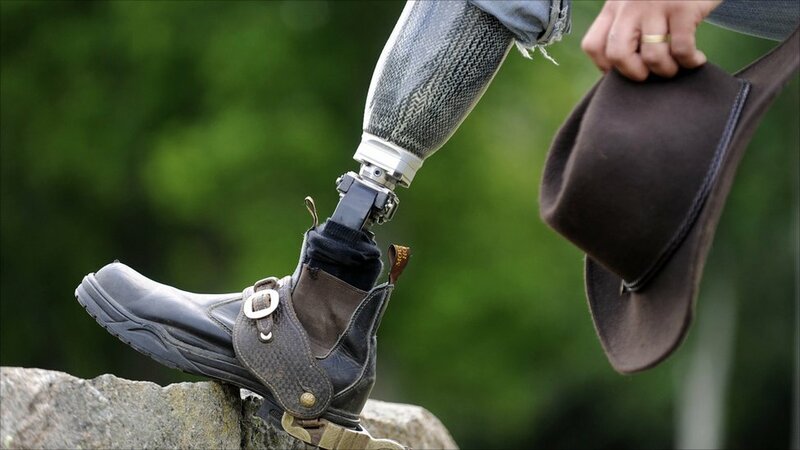 Knowledge and information remains a powerful tool to guide you through the process of prosthetic restoration. We are pleased to have the opportunity to help educate and lead you through the process. Depending on your amputation level, your prosthetic clinician can guide you into making the appropriate choices to improve your function as well as your independence. Please call us at 1-800-316-8330 for additional information. A Below Knee or "BK" prosthesis is made up of a custom-to-cast socket (still the gold standard), a pylon, and a foot. Some form of suspension mechanism is also necessary. New amputees may begin the fitting process at the time of surgery with an immediate post-operative prosthesis or "IPOP". Often a clamshell prosthetic limb splint may be used to control swelling and to prevent knee flexion contractures.